Imaging, the ‘visual inspection of internal organs without an incision’, is integral to making an accurate diagnosis, charting a treatment course and planning every aspect of a surgery. 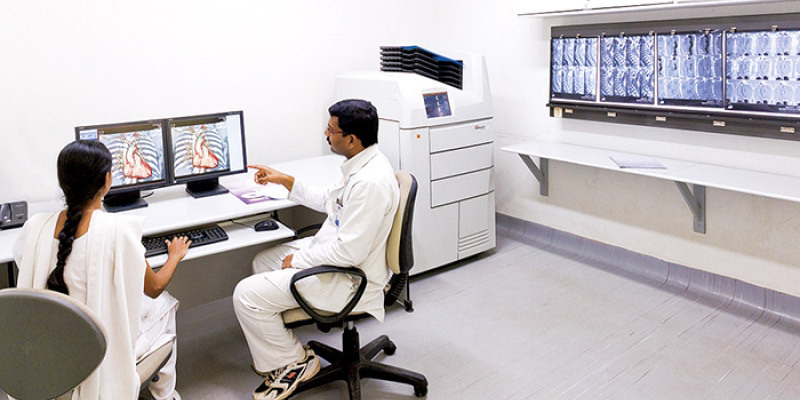 MIOT’s Department of Radiology and Imaging Sciences is one of the most advanced facilities in the country and on par with healthcare institutions in the West. 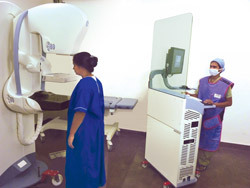 The department of Radiology and Imaging Sciences at MIOT International is equipped with sophisticated imaging equipment, which includes multiple digital X-Ray units, multiple portable X-Ray units with computerised radiography, colour Doppler ultrasound units, 750 HD Whole Body CT Scan, 1.5 T Whole Body MRI HDxt, digital mammography with contrast-enhanced mammography and tomographic mammography with stereotactic biopsy and bone-mineral densitometry. 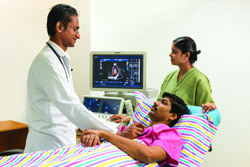 MIOT International has a 4D ultrasound with colour Doppler as well as portable 3D colour Doppler and intra-operative colour units. These enable physicians and surgeons to get a better view of the abdomen, chest, thyroid, breast, scrotum and musculo-skeletal system. They also enable liver elastography, which is performed routinely. We use the most recent ultrasound machines to perform routine as well as special ultrasound imaging, as well as ultrasound guided biopsies. 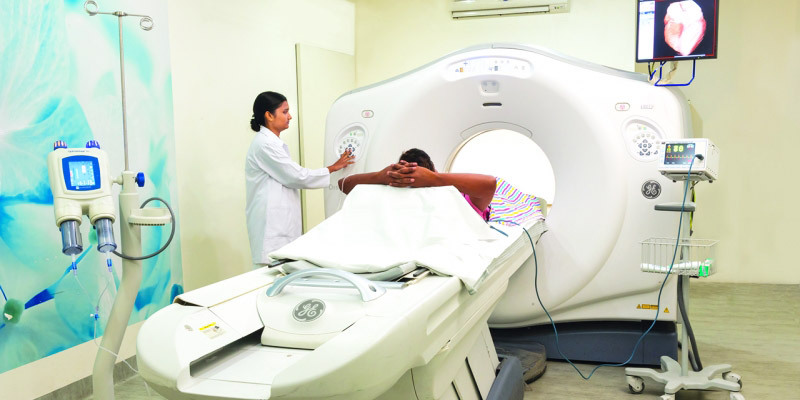 MIOT is the first hospital in India to have a 750 HD CT scan with dual energy imaging. Patients benefit as the high-resolution, high-definition images aid in accurate diagnosis, there is minimal radiation exposure, and the whole body can be scanned in under a minute. This also translates into greater comfort for the patient. The state-of-the-art 1.5 T HDxT enables Magnetic Resonance Imaging (MRI) of the whole body, including routine studies of the breast, small joints, brain and spine. 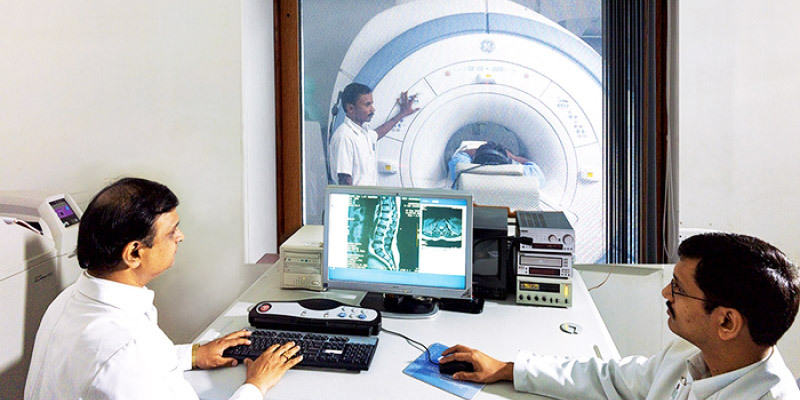 Specialised studies such as spectroscopy, diffusion tensor imaging, MR angiography, and MR mammography are also carried out. 4D echo machines like the IE 333, which have a transesophageal probe, are helpful for patients who require a valve replacement. For the first time in the country, digital mamma-tomography and contrast-enhanced mammography is available at MIOT International. This enables the detection of lesions hidden even in dense breasts as well as the differentiation between scar tissue and recurrent tumours. This aids the detection of multicentric tumours in the early stages. 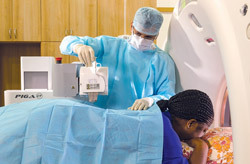 Lesions identified using mammography are screened with ultrasound equipped with elastography and all suspicious lesions are biopsied, employing either an imaging ultrasound or imaging the specialised stereotactic biopsy system. Early detection translates into early treatment and a better chance of a normal life.